Manufacturer & Supplier of RCC Road Divider. 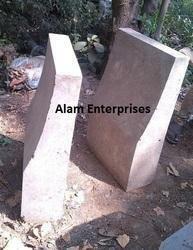 Our product range also comprises of Precast Compound Wall and SFRC Manhole Covers manufacturer in thane Mumbai. We are a leading firm offering RCC Road Divider to our clients. Our skilled and professional ensures to carry out a proper quality check before dispatching on various quality parameters. Also, the product is highly efficient and is available in pocket-friendly prices. Proper testing is carried out before dispatching the product at our clients’ door. These products are widely applicable as dividers on the roads. 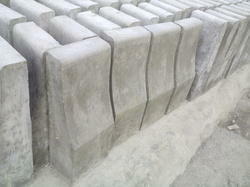 Backed by our sophisticated infrastructural facility, we are able to provide impeccable range of RCC Road Divider. The offered dividers are inspected by our quality analysts against diverse quality parameters in order to ensure the delivery of defect free range at customers’ end. These products are widely applicable as dividers on the roads. In addition to this, our patrons can avail these dividers from us at pocket friendly rates. Offering in a wide range, we offer CC Divider for Road Constructionto our clients. These are rigidly manufactured using advanced technology functions so as to deliver the best product to our clients. The offered product is affordable as well. This product is manufactured at our well-developed unit by our skilled professionals using the optimum quality raw material. The price range that we offer is very affordable and cost-effective. Looking for Road Divider ?